1. 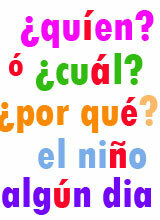 What is the word for classroom in Spanish? 2. How do you say book in Spanish? 3. What is calculator in Spanish? 4. How do you say paper in Spanish? 5. What is computer in Spanish? 6. What is pencil in Spanish? 7. What is pen in Spanish? 8. What is rubber in Spanish? 9. What is ruler in Spanish? 10. How do you say textbook in Spanish? 11. How do you say exercise book in Spanish? 12. What is the word for photocopier in Spanish? 13. How do you say pencil sharpener in Spanish? 14. How do you say desk in Spanish? 15. How do you say sheet of paper in Spanish? 16. How do you say blackboard in Spanish? 17. What is the word for bell in Spanish? 18. How do you say page in Spanish? 19. How do you say chair in Spanish? 20. How do you say window in Spanish? 21. How do you say floor in Spanish? 22. How do you say picture in Spanish? 23. How do you say keyboard in Spanish? 24. How do you say monitor in Spanish? 26. What is the word for stapler in Spanish? 27. How do you say light in Spanish? 28. How do you say window blind in Spanish? 29. What is dictionary in Spanish? 30. How do you say pencil case in Spanish?